Crept to within one species of the 33%, or two species depending on how you like your rounding. 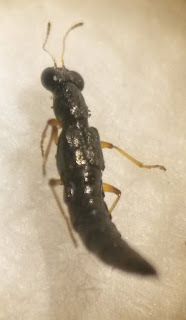 Everything end of last week was coming up staphylinid, with 10 rove beetles on the list now. The commonly-encountered Stenus impressus with its black knees and a hairy member of the Tachyporinae, Sepedophilus nigripennis were shaken from leaf litter in Hopeward Wood. 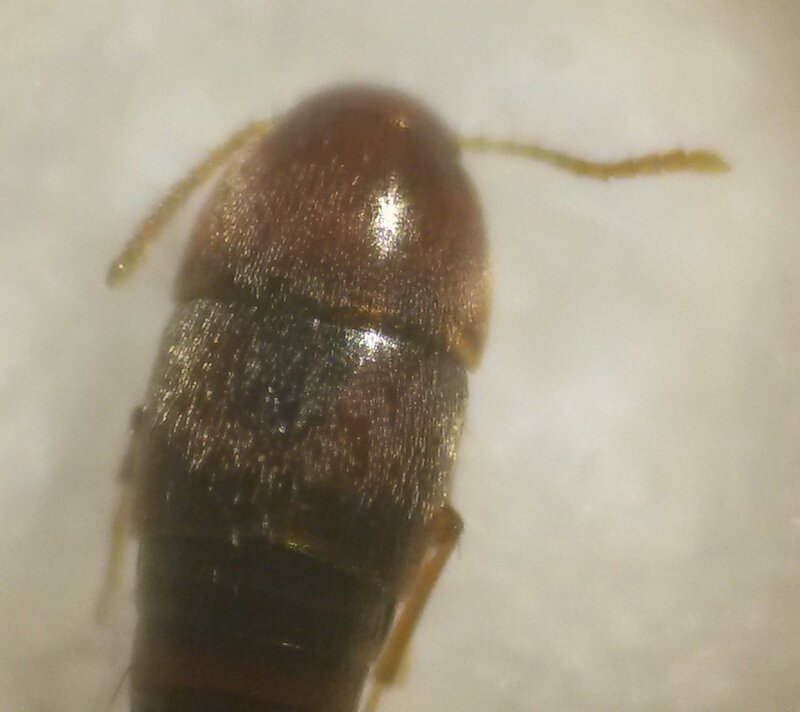 Added to that from Bathing House wood on Saturday was Othius punctulatus, another commonly encountered (and easily keyed) Staph. 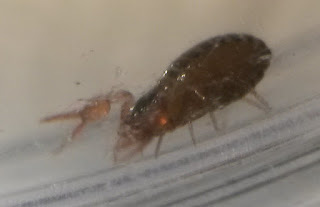 Added to that were some miscellaneous - a plant, a couple more additions to molluscs and a couple of arachnids, including the one target I finally hit before end of Feb which was a pseudoscorpion. Inevitably it was Neobisium carcinoides but it could, at least in theory, been a different one.